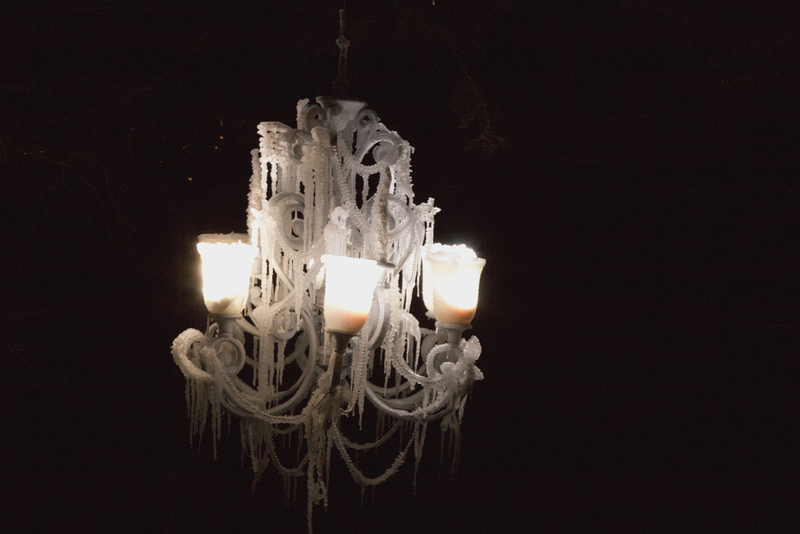 The Chandelier was hung in the trees and sprayed with water, which froze into icicles. Detail of the formation of icicles dangling in the sunlight. 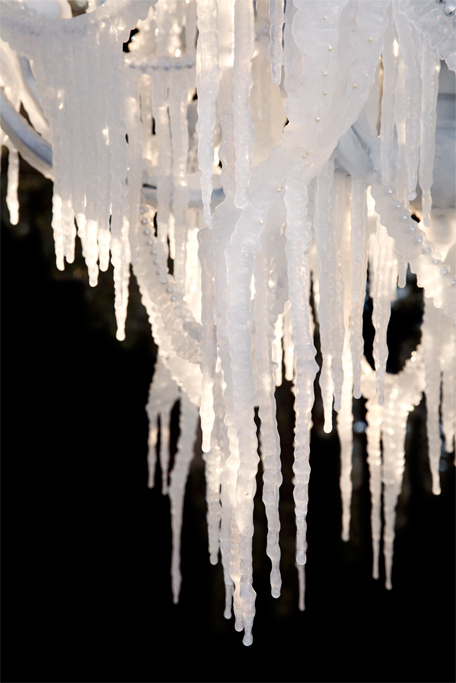 The ice chandelier lit at night swayed gently in the wind, creating an eery mesmerizing effect. 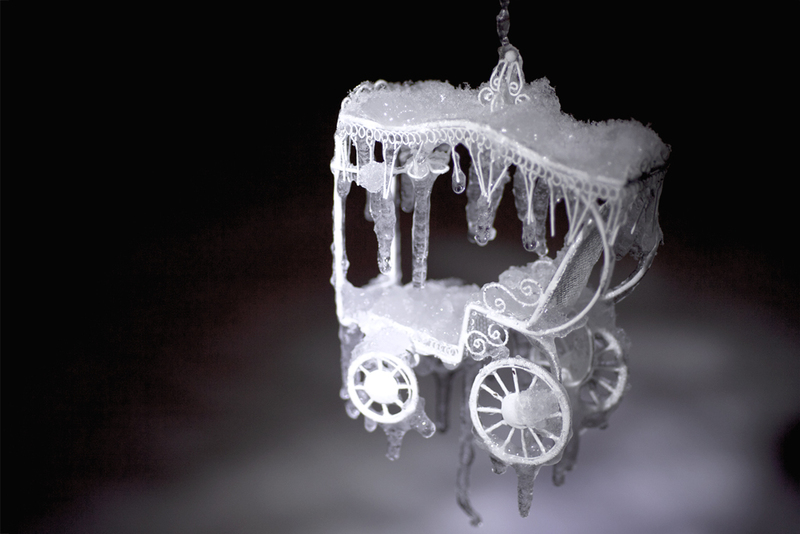 Ornate carriage fit for a queen. Frozen in time. Pair of 1950s slingback shoes. Footprints snowed over. Beaded handbag. Gaping mouth. Empty. 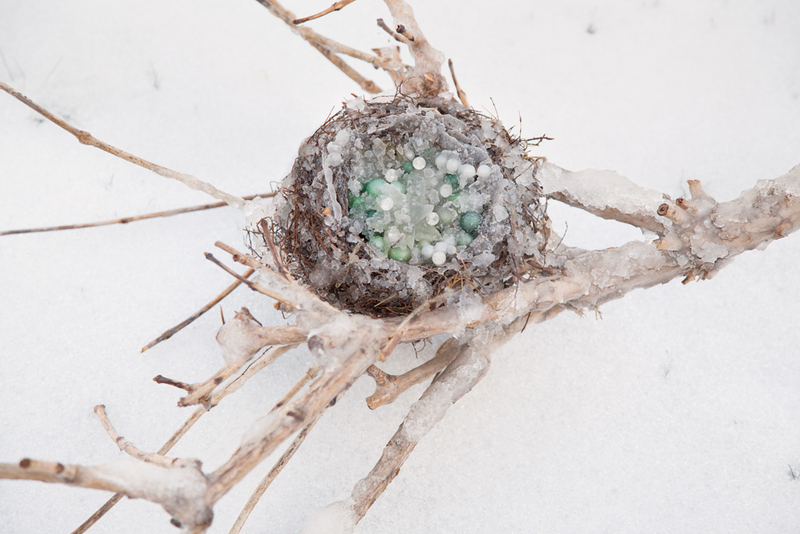 The nest egg of jewels. The birds have flown. 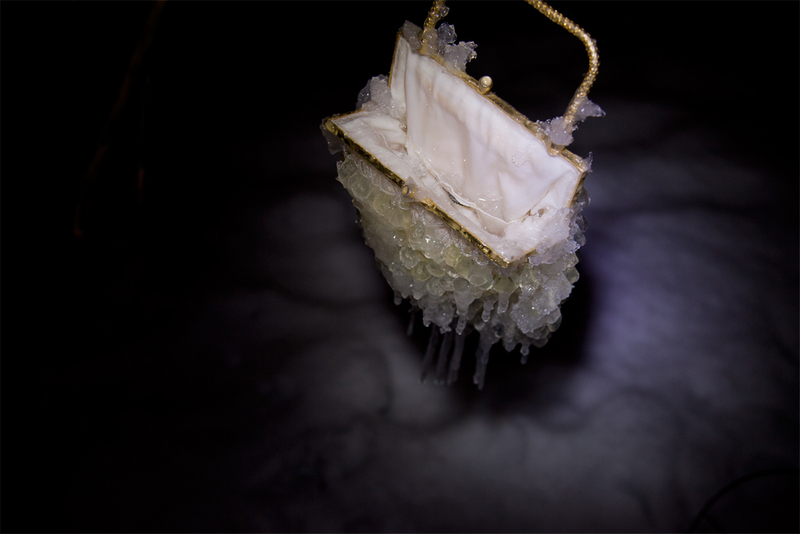 The Luxury series began with an installation at the Banff Centre of a large chandelier hung in the trees and covered in icicles. It was inspired in part by the frozen house scene in the Doctor Zhivago film. 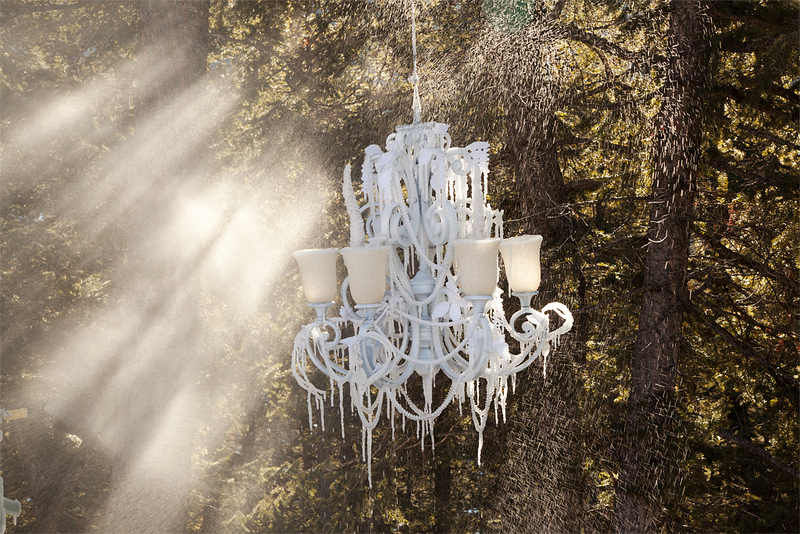 The chandelier is often regarded as a symbol of opulence and man’s desire to emulate nature. In this work it represents our craving for luxury goods and the environmental consequences of climate change. Energized by this installation I later created a series of smaller pieces at home. 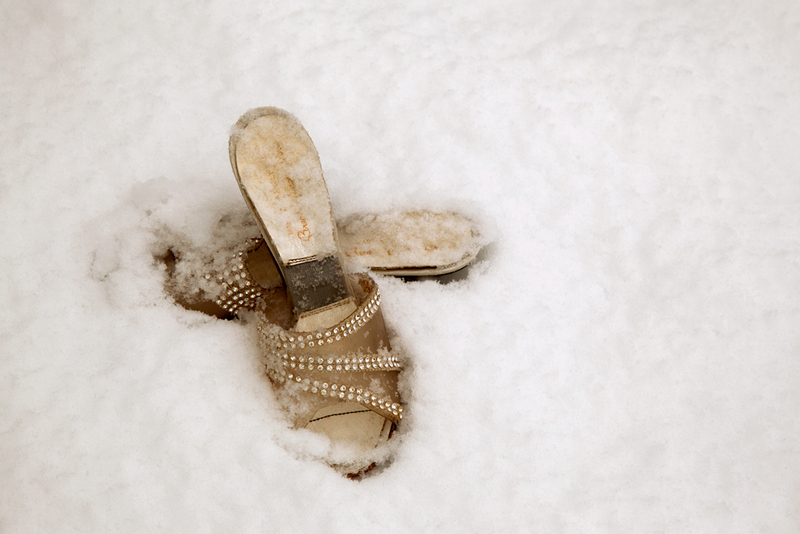 Here diamond soled shoes and a miniature carriage represent the fall of an empire, an ice age of greed.